Many parents find themselves asking this question at some point in their reading journey with their child. Perhaps they feel their child is taking a little longer than they should to begin to read. Or maybe their child is about to be assessed for dyslexia. They might even have received a diagnosis. Whatever the reason for asking, here is a simple introduction to dyslexia. 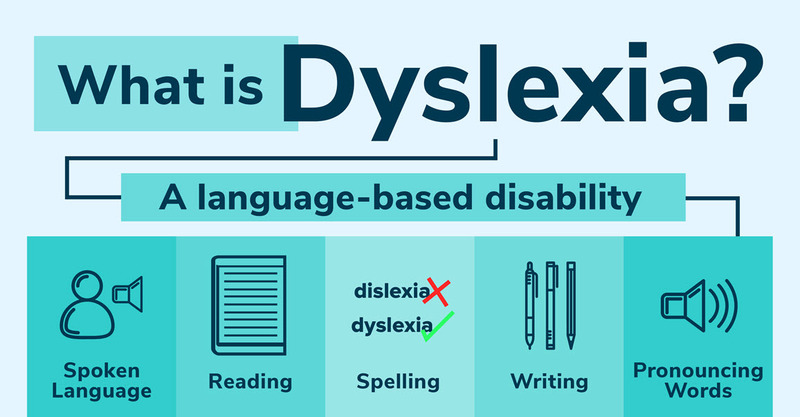 Dyslexia is a language-based learning disability. People with dyslexia will find a range of language skills tough, not just reading. Many people will display one or two of these characteristics, but not everyone has dyslexia. If a person consistently displays a number of these characteristics over time and they are holding him or her back in the classroom it is worth seeking a diagnosis. People with dyslexia struggle with accuracy and fluency with language-based skills. They are not lazy or stupid, they simply have a neurobiological learning difference - their brains learn differently. It really is that scientific. So, people with dyslexia are slow readers. However, they are often very fast and creative thinkers with strong reasoning abilities. 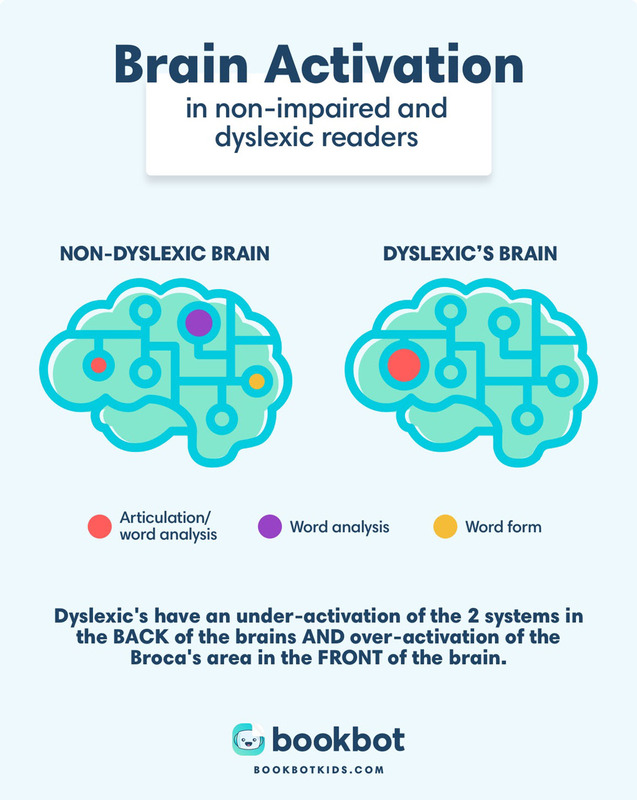 These are processes that come easily to the majority of readers but can prove incredibly difficult for a reader with dyslexia. Dyslexia can also cause problems with spoken language. This means that some people with dyslexia may find it difficult to express themselves clearly or fully understand what others mean when they speak. Dyslexia is a common learning difference, affecting as many as 20% of the population (depending on the source or definition you use). It is a lifelong condition which often runs in the family: one of our Bookbot children, Archie, has a dyslexic father and grandfather (and who knows how many generations before that without diagnosis?). In an ideal world, a dyslexic child would be identified in the classroom. He or she would not be progressing with their literacy skills at the rate expected and would be given supplementary instruction. 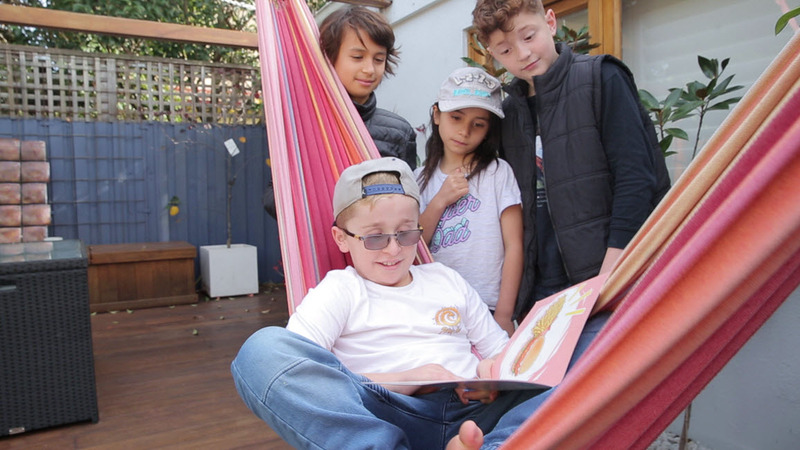 If the child still didn’t reach grade-level benchmarks - and other kinds of developmental disorders are ruled out – he or she may be identified as learning disabled in reading, or dyslexic. Sadly, this early identification doesn’t always happen and a formal evaluation is required for diagnosis. The bad news is that dyslexia cannot be cured. The good news is that people with dyslexia can learn to read and write successfully if they are taught using a systematic and explicit approach that includes phonics. These programmes go by many names including Structured Literacy, Orton-Gillingham, Simultaneous Multisensory, Explicit Phonics, and others.